A stone's throw from the Onze Lieve Vrouwe and Vrijthof, located in the beautiful Jekerkwartier a unique property in the oldest city wall of Maastricht. The property, transformed into artistic space, is in our opinion the most beautiful place of Maastricht. We have an old building directly behind the oldest city wall dating from the Middle Ages restored, where we have left some ruins and have renovated part in style. Guests enter through the old part inside a covered outdoor area and can then reach the floor via an industrial spiral staircase which is fully equipped. Unfortunately, the Geer House not suitable for disabled. This is because the studio is only accessible by a spiral staircase. The bed is a loft, reached by a ladder. The studio is located upstairs in the house. When you enter you see a courtyard and an open second floor. We have used a lot of natural materials. Alles Top! Tolle Unterkunft, genau wie auf den Bildern! Kontakt war immer super. Gastgeberin Lonneke ist sehr nett und hilfsbereit! Unterkunft sehr sauber und alles was man braucht ist da. Außerdem super zentral! Es steht sogar ein Fahrrad bereit. Immer wieder gern..top top Top!! Wij hadden een heerlijk verblijf in het Jekerhuis - zeer mooi ingerichte studio op een unieke en geweldige locatie in Maastricht. Een ontdekking! 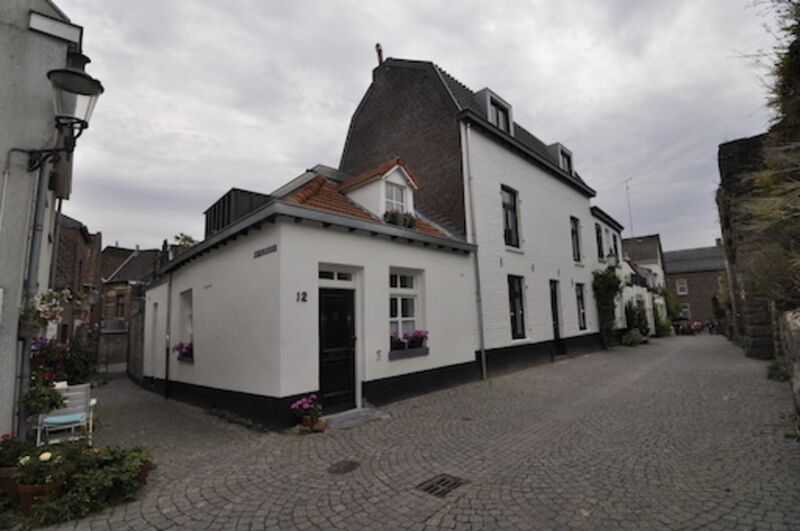 The Geer House is located in the beautiful Jekerkwartier. Jekerkwartier is currently in Maastricht 'hot'. It is often compared to Paris' Latin Quarter. The best pubs (with live music) as cafe Forum Lure, The Peter and friendliest eateries like the famous Chic, Rilette, Barsserie Apart are our neighbors.